Spruce oil, Canada is also referred to as Eastern hemlock or Tsuga Canadensis. The aroma is pleasant, clean and balsamic. Spruce essential oil has an aroma you may expect. Wonderful in cleaners, yes, but a therapeutic-grade aromatherapy for arthritis/rheumatism, fungal infections (Candida), sinus/respiratory infections and sciatica/lumbago. Spruce oil is antispasmodic, antiparasitic, antiseptic, anti-inflammatory, hormone-like, cortisone-like; immune stimulant. 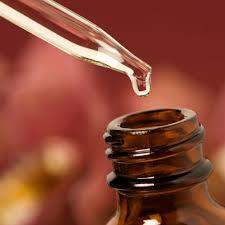 The fragrance influence of Spruce essential oil: Release emotional blocks, bringing about a feeling of balance. Application: Dilute 1:1 with carrier oil and apply on location, on vitaflex points, directly inhale (undiluted), diffuse (undiluted), or take as a dietary supplement. Steam distilled from leaves, needles, and twigs.